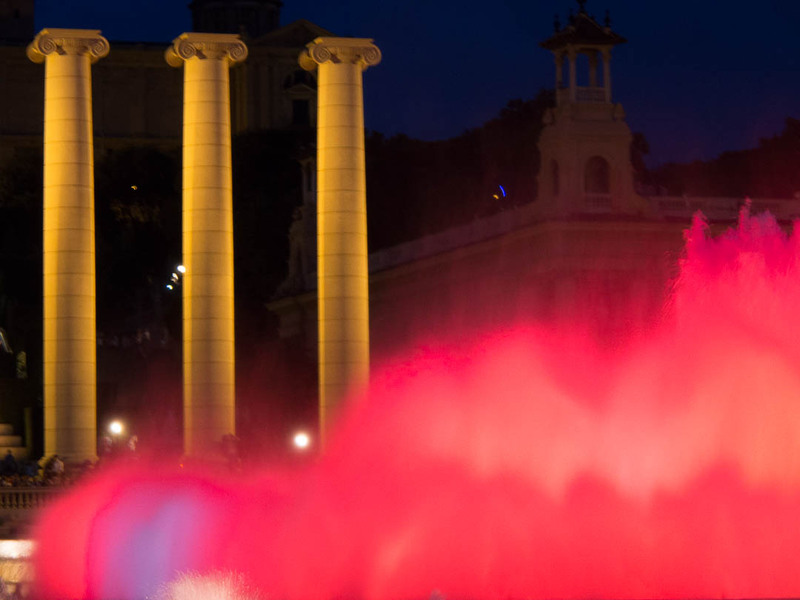 One of Barcelona’s biggest attractions is the Magic Fountain (Font Màgica) below the Palau Nacional at the start of Vinguda Reina Maria Cristina. 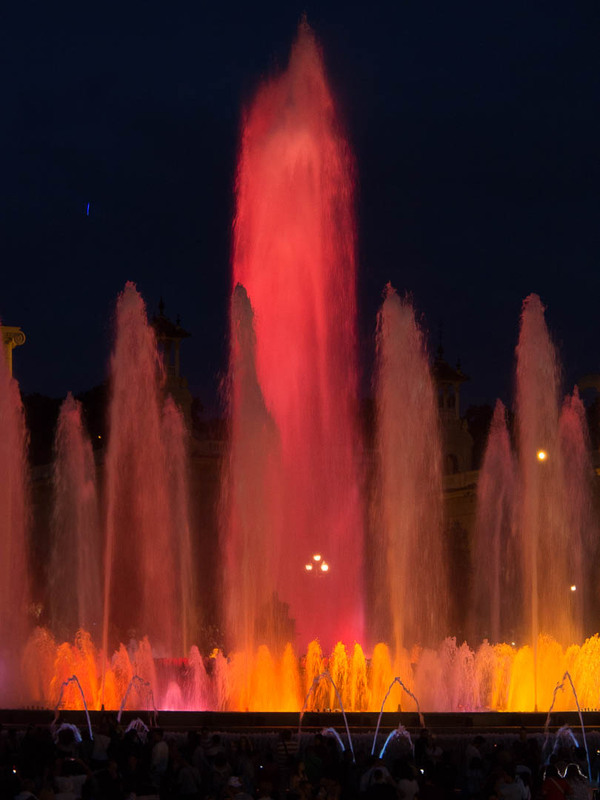 Built in 1929 for the International Exhibition, the fountain offers a spectacular display of water acrobatics that is synchronized with music and lights which generate over 50 kinds of shades and hues. 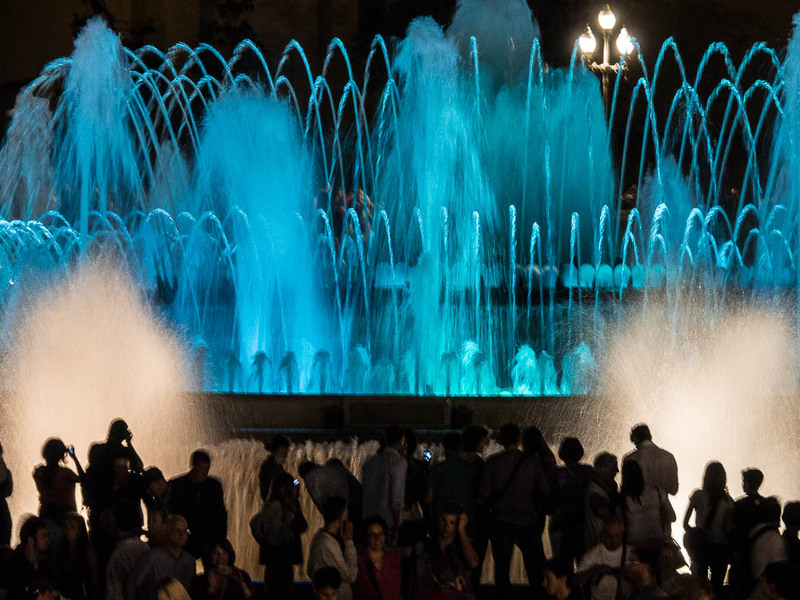 The water beams create a magic dance which unfolds before the eyes of a usually quite big crowd. For more photos and explanations how I approached this colorful night time shooting continue reading after the jump…. 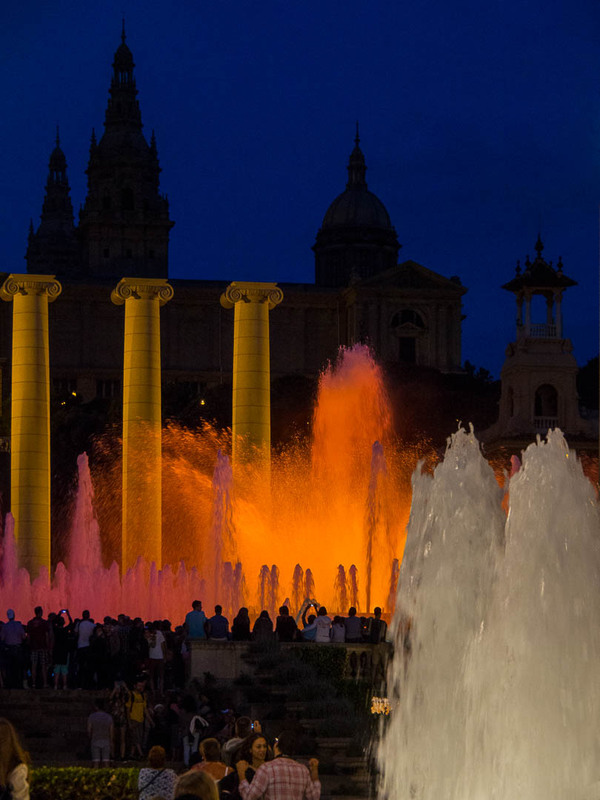 For photographers the spectacular light show, that takes place almost year round each evening after nightfall, offers great opportunities to capture atmospheric and colorful night time images. It is bright enough that you can get away with handheld shots, as my photos demonstrate. As camera I used my Olympus OM-D E-M5 with the mZuiko 14-150mm f/4.0-5.6 Travel Zoom. Due to the crowd setting up a tripod would be quite difficult, especially as you have to move around to make the most of this experience. While with shutter speeds of 1/50 sec you still see lots of texture in the water beams, reducing it to 1/20 sec already blurs the water significantly more. While shooting around the fountain I dialed in a fixed ISO of 1600 and set the camera to P mode, resulting in most images having an f-stop of around f/5.4 and a shutter speed of between 1/15 sec and 1/50 sec. Zooming in typically reduces the shutter speed as less light hits the sensor when shooting with longer focal lengths, as opposed to when shooting with a wide angle focal length. In the photo below I further reduced the shutter speed to 1/15 sec to blur the red water beams and create that dreamy look. 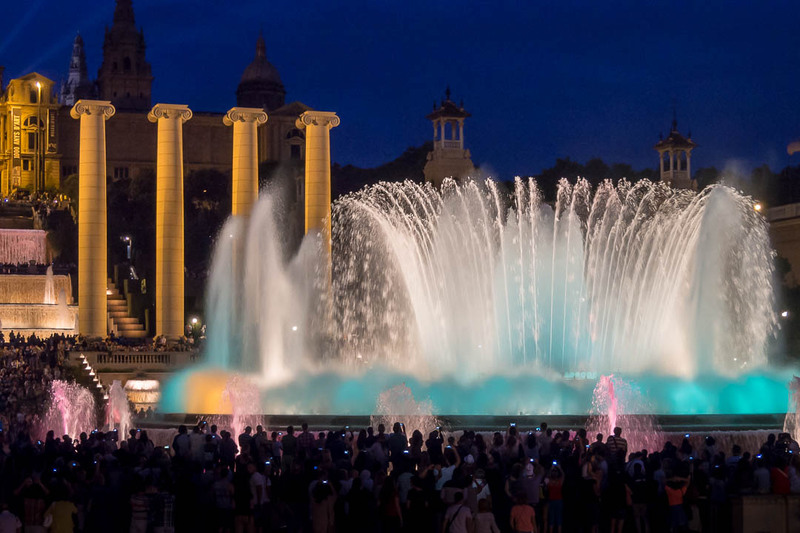 So next time you visit Barcelona make sure you bring your camera and go visit the spectacular water and light show at the Magic Fountain. Beautiful photos! I have been here myself around New Year, and Barcelona remains one of my favorite cities. I’ve seen this twice and marvelled at the display in the warm evening – your photos are amazing, thank you for posting them. Haven’t visited Detroit (only in transit). Hope your business trip is going well. You should spend a day or two in Detroit. Highlights are the Ford Factory Tour, the Ford Museum and the fabulous Detroit Museum of Art. My business trip is going very well, but this time no possibility whatsoever to do some sightseeing. Great, would love to visit those museums. My husband says that Duxford Air Museum near Cambridge is the best place for viewing old aircraft in the U.K. ! Marcus, these are all nice for the color but the 2nd image with the three columns and the people is the standout for me. 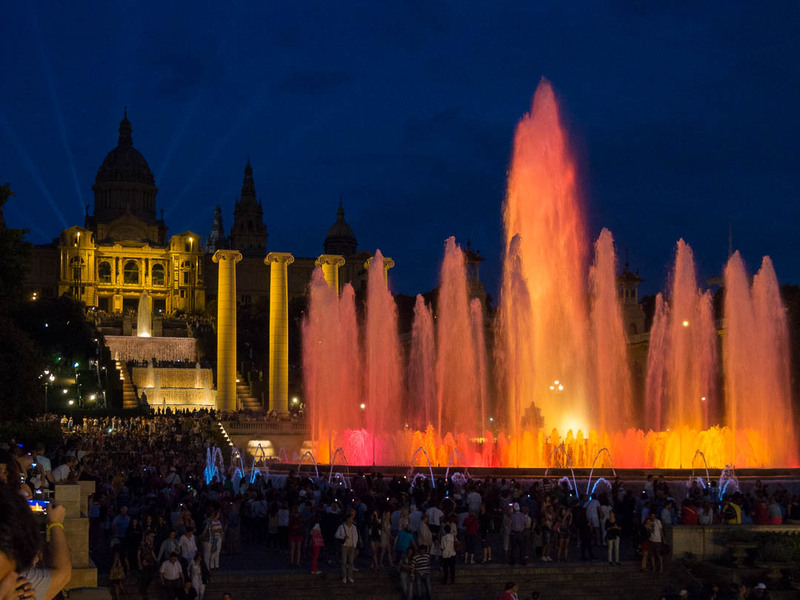 There is a real human connection with the majesty of the colorful fountains. Also thank you the detail camera settings on each image. Marcus, you’re welcome. I’m looking forward to seeing that image. I’ve got a lot more in the can but probably won’t kick anymore out. I’ll look at some of the more close up images. I’m more interested in the details and design. We’ll see. Absolutely beautiful and I always get mesmerized watching the dancing waters. Especially at night when the lights make it come to life in an even more dramatic way. I had to smile as I just posted something about a pop of color too and our minds must have been connected once more. 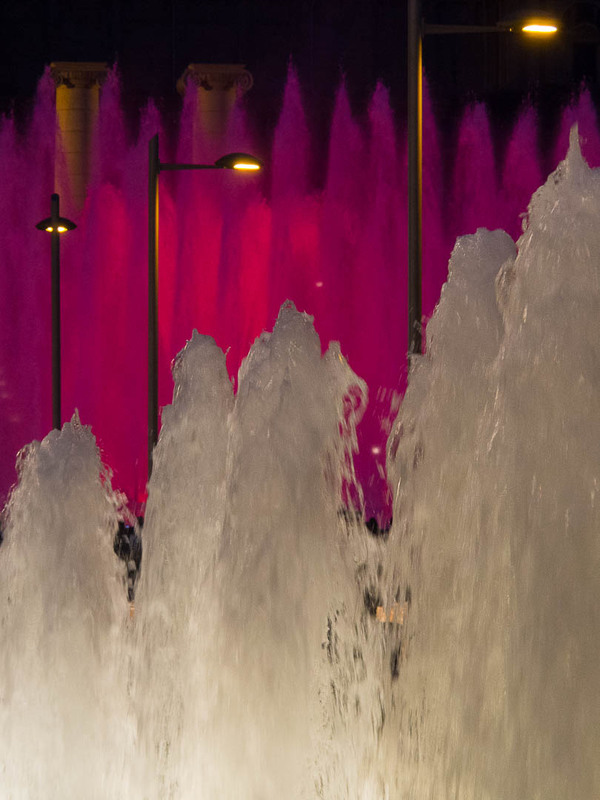 I love fountains, and I love color. 🙂 These are beautiful Marcus. Spectacular indeed! Thanks Janet for making my morning 🙂 !! Have a great day! 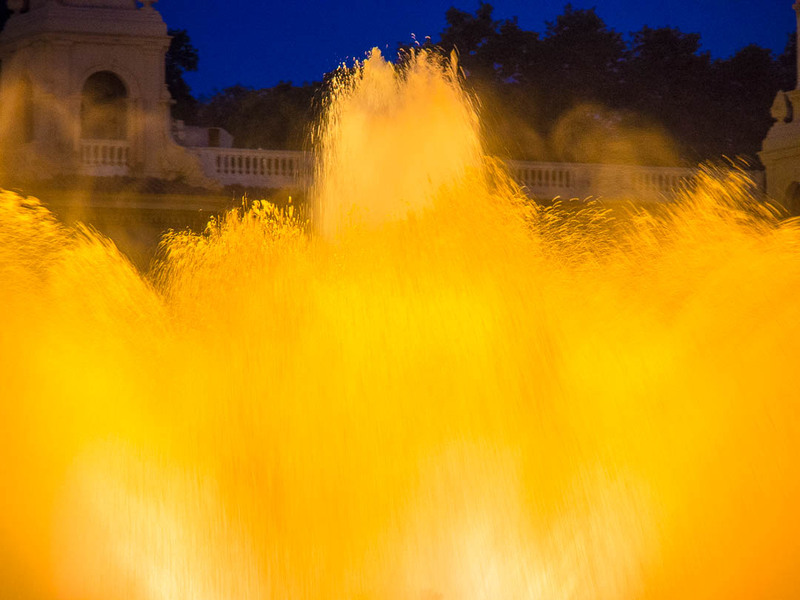 Amazing fountain and just gorgeous images. I want to dive into your photos. Wow! I bet that’s an amazing show! The last one’s my favourite!